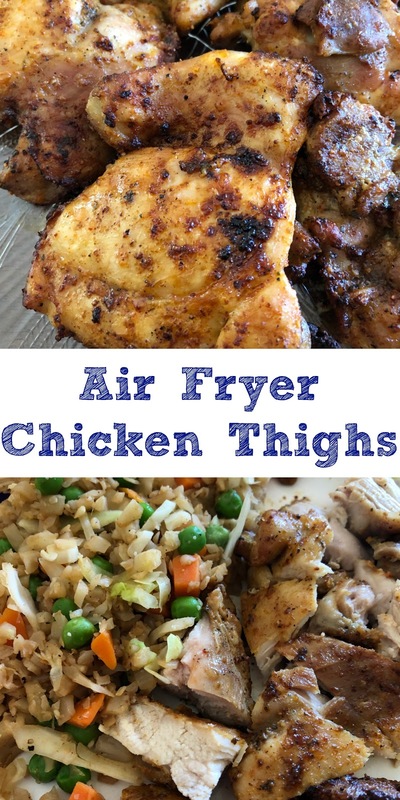 If you haven't already hopped on the air fryer bandwagon, you better get with it! I have had one for about 6 months now, and use it every day, sometimes even a few times a day. It really is a very versatile kitchen appliance that every home cook needs. 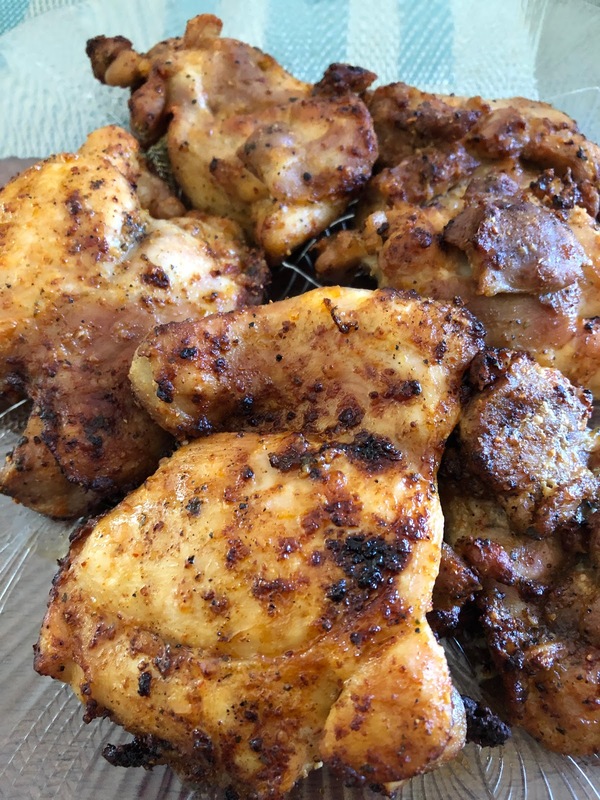 I recently decided to try some boneless, skinless chicken thighs in the air fryer for the first time. Normally I grill them either on my cast iron grill pan or the outdoor gas grill. I didn't feel like dealing with the pollen outside so I wanted to see how the air fryer would work. I started with one package of boneless, skinless chicken thighs, fresh lime, and an assortment of dried seasonings. 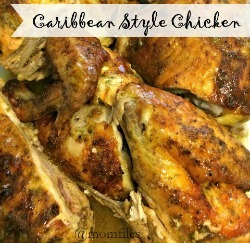 I simply washed the chicken with the fresh lime, and then rinsed and patted dry. I seasoned to my liking with my go-to spices. I also recently discovered Trader Joe's chili lime seasoning, and it has become a new must-have. If you are located near Trader Joe's, you have to grab a bottle! 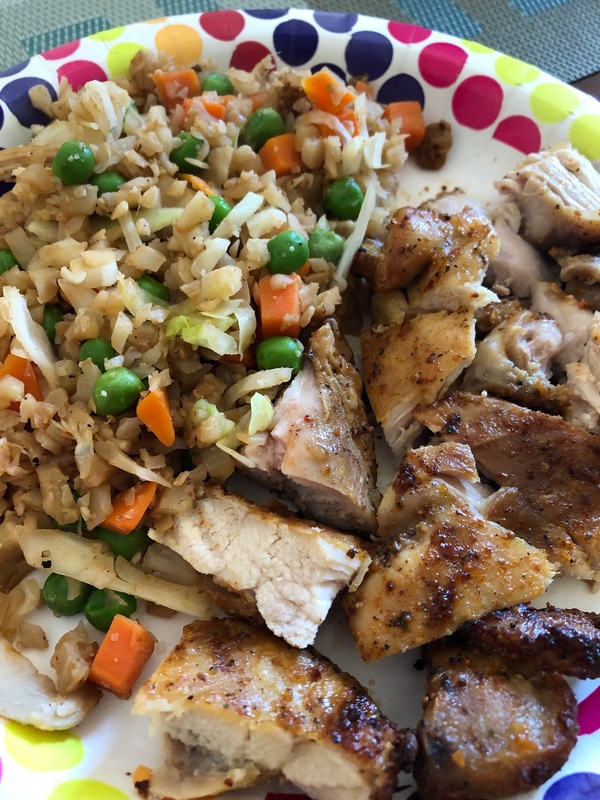 After my chicken is seasoned, I set it aside for a bit while I heat the air fryer to 400° for five minutes. You can lightly spritz your chicken with olive oil if you are worried about them sticking to the basket, but I didn't have any issues. Place chicken in fryer basket according to how many you can fit for them to lay flat. Cook for 7 minutes, and flip. 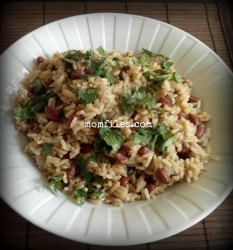 Cook for an additional 5-7 minutes or until nicely brown. They come out super juicy and perfectly cooked! This was so much easier than using the grill. Chicken thighs are so versatile and can be served with a variety of side dishes, or on top of a salad. We have been eating lower carb meals lately, so I threw together some delicious vegetable fried "rice" (riced cauliflower). What a tasty combination! Don't forget to grab this chili lime seasoning from Trader Joe's. It's only $1.99 so I will be grabbing a few extra to stock up.